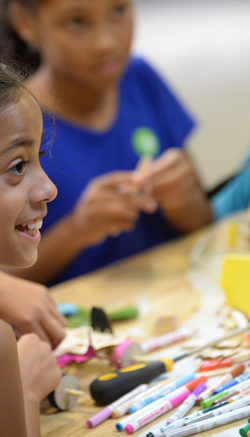 The Institute of Museum and Library Services (IMLS) and U.S. Department of Education (ED) launched an interagency collaboration with the New York Hall of Science to develop and implement STEM-rich making activities for 21st Century Community Learning Centers (21st CCLC) in six states. This effort was Phase 2 of a successful pilot project completed in 2015, to provide after school educators with a six week making curriculum that focused on exploring circuitry concepts through a series of maker based activities. Making is a broad grassroots movement that inspires young people to be creative, imaginative and inventive and offers new and powerful approaches to STEM learning. At the heart of making is creating hands-on experiences that are student driven, invite creative exploration of materials and harnesses children’s inherent love of play as a developmental resource to blend STEM learning. It also allows for a variety of entry points and pathways for learning empowering young people to advance their understanding and skills as they develop and build out their ideas or inventions. The activity guides included here are written with upper elementary school-middle school age children in mind, but the activities can be adapted for all ages. As an introductory activity, students will use a variety of tools to make personal journals and then personalize them with their own decorative flair using buttons, stickers or other recyclable materials. 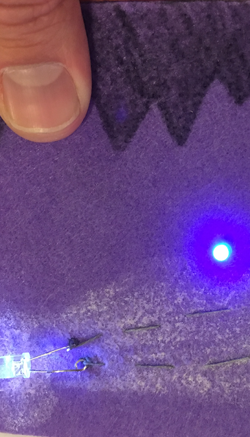 This fun activity mashes up circuitry and textiles to create wearable electronics, using conductive thread and fabric so that students can design creative projects that integrate technology into the more traditional fabric arts. 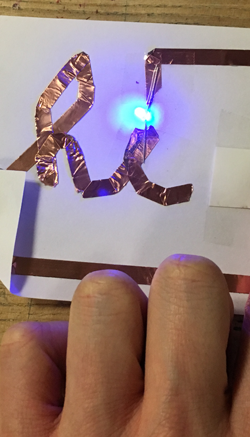 Using conductive tape, LEDs and batteries, students are challenged in a variety of ways to create a paper circuit name tag. This activity provides the opportunity for trial and error and a basic understanding of circuitry. 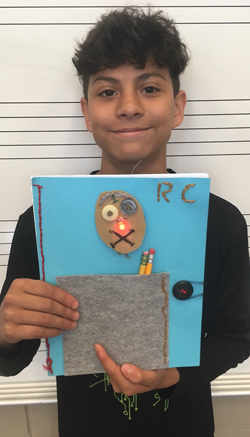 This activity combines the knowledge and understanding of circuits that the students learned in the previous Soft Circuit and Paper Circuit activities, and adds switches to the mix. 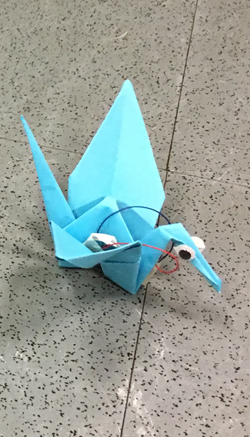 Paper bots are battery-powered paper constructions that dance, wiggle and vibrate across a surface using a small pager motor and a coin cell battery. Scribbling Machines are motorized contraptions that move in unusual ways and leave a mark to trace their paths. 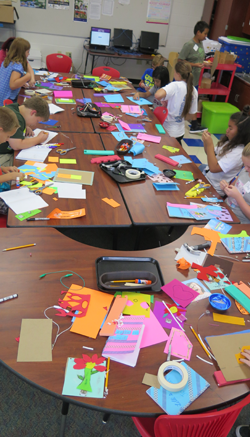 These activities are designed to empower students as “makers” using engaging design-based challenges that are student driven, and lead to materials literacy, divergent solutions, meaningful reflection and creative collaboration. There are six activities that can be implemented separately as a 60-90 minute session per day or grouped together to accommodate a longer day. The activities provide students with the opportunity to engage in hands-on activities that reinforce basic circuitry concepts utilizing everyday materials/tools and a variety of accessible electronic components such as LEDs, conductive thread, coin cell batteries and copper tape. Each activity is accessible by clicking on each separately below to view additional resources. The complete curriculum is also available for downloading and printing as an entire unit below.